Last week, Microsoft showed off some browser technology that could help Internet Explorer leapfrog the competition. But if Mozilla succeeds in its hope, Microsoft could be playing catch-up instead. The technology in question is hardware-accelerated graphics and text using interfaces called Direct2D and DirectWrite that provide an easy way to use graphics cards' computing power. They're built into Windows 7, and Microsoft is bringing them to Windows Vista but not Windows XP. The performance boost from Direct2D and DirectWrite was the centerpiece of Microsoft's demonstration of Internet Explorer 9 goodies shown last week. Online maps flashed on the screen quickly and tracked mouse movements responsively; text was clearer and changed sizes more gracefully. But the day of Microsoft's demo, Mozilla evangelist Chris Blizzard had this to tweet: "Interesting that we're doing Direct2D support in Firefox as well--I'll bet we'll ship it first." There's work to back up his rhetoric. On Sunday, Bas Schouten, the programmer who's been leading the work for Mozilla, posted a prototype of Firefox using the Direct2D and DirectWrite. However, any Firefox fans tempted to crow about a victory should be cautious. 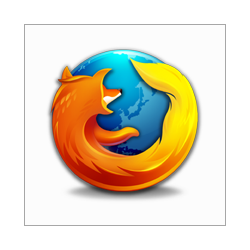 Mozilla wouldn't commit to including the technology, much less to a release schedule such as Firefox 3.7 due in the first half of 2010. "We are currently investigating Direct2D for Firefox, but do not have a target for shipping it in Firefox at this time," the organization said in a statement..
Microsoft declined to comment for this story, referring readers just to last week's blog post about coming Internet Explorer 9 features. "While we're still early in the product cycle, we wanted to be clear to developers about our approach and the progress so far," the company said while sharing a Direct2D demonstration video. There's no doubt the race is on, though, given the potential benefits of the new interface and the commercial success of Window 7. Microsoft is lighting a fire under its developers, but the company's browser has lagged Firefox and other rivals in many technological areas for years, and many Web developers loathe earlier versions of IE still widely used. IE's market share has steadily eroded, though it remains dominant overall. The attention is giving Google ideas, too. In a Chrome issue logged Sunday, Chrome programmer Peter Kasting pointed to Chouten's blog post on the subject as "motivation." "If we can speed up the rendering time, the most noticeable benefit will probably be smoother-feeling scrolling," Kasting said. He also directed attention in October to DirectWrite support in Chrome, though cautioning that it might not work with the browser's present "sandbox" design to isolate elements of the browser for security reasons. Mozilla has its own results to show off, too. Schouten offered a graph showing improved performance displaying a variety of Web pages. Facebook, Google, and Twitter rendered on the screen in half the time using the Direct2D; Slashdot and a Wikipedia entry were barely changed. One taxing page using the Scalable Vector Graphics format (SVG) to show movable, resizable graphics showed more than twice as fast, dropping from about 11 milliseconds to less than 4 milliseconds. Its going to come down to who can get this out first if Microsoft can get IE9 out before the fire fox alternative then they should retain their market share. FF as been under a lot of criticism for 3.5 rendering and using this new tech to make rendering times VERY fast on most web pages will help. Who ever gets this one out first will make the browser wars more interesting but then it doesn’t really matter because the consumer will benefit either way. Nice, I bet Mozilla will have the technology in Firefox long before Microsoft has it in Internet Explorer. Either way, Internet Explorer will probably still be a cruddy browser. I would love to see the day that MS just bets Mozilla. Like that would ever happen. No matter if they do I still won't use IE. It's just a matter of time MS just say f it and doesn't support a browsers. IE9 is suppose to be light weight have seen comments around the web that it could be their best browser ever. I don’t hate IE just think that it’s the market leader so it should be leading innovation rather than playing catch up all the time, even then getting it wrong!